1) What is Custom Engraving and how do I order it? 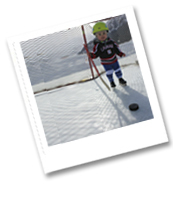 – When purchasing your BABY SKATES you can go to the Buy Custom Engraving page (link included) http://www.babyskates.com/buy-your-baby-skates-engraving.php and purchase Customized Engraving that looks great and makes for a great memory item! 2) What can I have Custom Engraved? – Just about anything! We can engrave usually anywhere from (65 - 100) characters. If you would like a Special Image or Icon we can place that into your engraving, stock images are included in engraving price. We can also do some Custom Artwork or Graphics for an additional fee. 3) What Fonts can I choose from when ordering Engraving? – We have (3) choices, Times New Roman – Comic Sans – Commercial Script. 4) Can I see samples of Engraved BABY SKATES and different styles of Engraving? 5) What does Engraving Options mean and how does it work? – Options is another way of saying how fancy do you want to get with what you want engraved. Options are outlined below. Option (A) – The left foot’s outside blade and the right foot’s outside blade will say the exact same thing, layout the same, and look the same. Option (B) – The left foot’s outside blade and the right foot’s outside blade will say two different things, meaning you can engraving something completely different for each blade. Option (C) – The left foot’s outside and inside blades along with the right foot’s inside and outside blades you can engrave something different on each blade or engrave them all of the same. All blades are engraved in this option. 6) How long does the engraving process take? – (3 to 5) business days. 6) What if I want my BABY SKATES engraved, but I need them super fast? – We offer Expedited Engraving, as an add-on service. When purchased along with your engraving order your order will be guaranteed to ship within (24 - 48) hours from the time or date of order. If you need them shipped fast we offer Overnight Delivery! 7) How do I order the Engraving for my BABY SKATES? – So simple, just go to the Buy Custom Engraving page, scroll down to the Options Boxes, Select your Font choice, type your engraving into the rectangular shaped text boxes, double check it, and then add it to your cart. When you pay for your order you will also be able to confirm your Engraving. 8) What would I do if I would like a special image or icon along with my engraving? – Just send us an email at information@babyskates.com or call us at 330-491-1976 and explain what image you would like and the placement of the image. In most cases we will be able to help you out! 9) What examples of images have you helped folks with? – Here are just a small sample of images that we have done for folks they just loved them; hearts, bunny, Easter Basket, goalie mask, hockey stick, hockey goal net, stars, shooting stars, snowman, candy cane, butterfly, ladybug, fire truck, menorah, cross, flowers, eagle, pumpkin, Christmas tree, gift, wreath, and snowflakes. 10) Can I see a sample of the fonts before I choose? – go to the Buy Custom Engraving page (link included) http://www.babyskates.com/buy-your- baby-skates-engraving.php in each Options box going from left to right is a sample of each font style. You can also pull up a word processor type program and select each font style for your review. 11) What are others saying about getting their BABY SKATES custom engraved? – Our customers just love it, repeat customers always come back and order it, people who receive them as a gift are amazed with how clear and precise the engraving looks Give the very best – give BABY SKATES! 12) Is there any special maintenance needed or does it rub off or corrode over time? – Once they are engraved it there for good. No special maintenance needed at all. Makes for a wonderful gift and memory item! It does not peel or fade at all! They can be used just like regular ice skates with no problem at all! Totally amazing! 13) I would like a bunch of engraved BABY SKATES is it possible to order it for a group, program or rink? – Sure we can help! 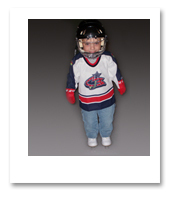 With multiple orders it is best to email us at information@babyskates.com or call us at 330-491-1976. Depending on order size we would also provide a discount. 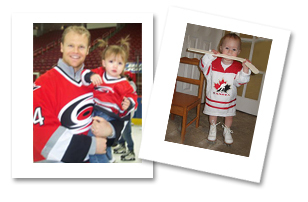 14) I work for a business with a logo can you engrave that on our BABY SKATES? – With proper trademark release and permission given and approved at all levels, with our artwork and graphics know how we would be able to help! 15) What is the difference in the engraving font styles? – See description of all (3) Font styles below. Times New Roman - is basic has a look of newspaper print, clean and simple. Comic Sans - is a bit more bold and has a bit of a child’s handwriting look to it, stands out a bit. Commercial Script – Cursive and twisty letters and text looks very bold and fancy, very classy. 16) Can I get my BABY SKATES engraved in another language? – We can engrave your BABY SKATES in any language, no problem! There is no additional fee for another language. You will be impressed with what we can do!